You can help your community create tobacco-free parks and recreation areas. Contact TFYR to discuss how to begin your local project! TFYR believes that the most important aspect of a recreation-based tobacco prevention strategy is the adoption of a tobacco-free policy. TFYR has created a comprehensive training guide for youth groups on how to work toward tobacco-free outdoor recreation areas in their community. 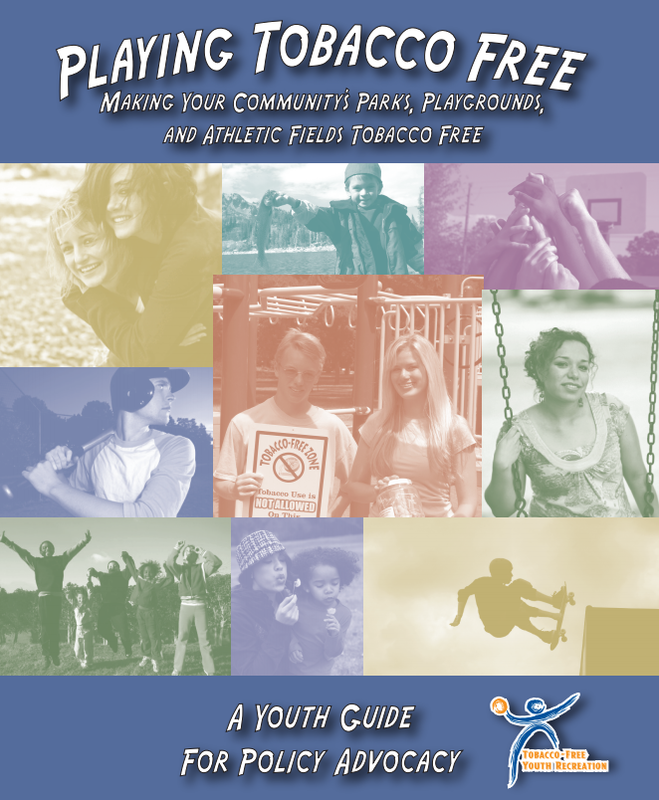 The training guide, "Playing Tobacco Free: Making Your Community's Parks, Playgrounds, and Athletic Fields Tobacco Free," is comprised of seven steps. TFYR has also created a guide for tobacco control professionals.The guide includes detailed policy steps and sample documents. Playing Tobacco Free Making Your Community's Outdoor Recreational Facilities Tobacco Free. A Guide for Tobacco Control Advocates. Learn More about the benefits of tobacco-free policies for parks and other outdoor recreational facilities.